We are delighted to have head chef Dan Burridge, taking part in this year’s Great Food and Drink Festival at Rufford Abbey. Chef Dan will be taking to the stage on the same day as none other than James Martin on Saturday 26th May at 2pm. Chef Dan Burridge lays claim to a unique culinary style which draws on a melting pot of influences – these include his German-born mother, whom Dan credits for educating him in the art of cookery and introducing him to restaurants that inspired him even a youngster. Trained at Worcester College of Technology, Dan landed his first job at Colwall Park Hotel where he honed his appreciation for fine food. 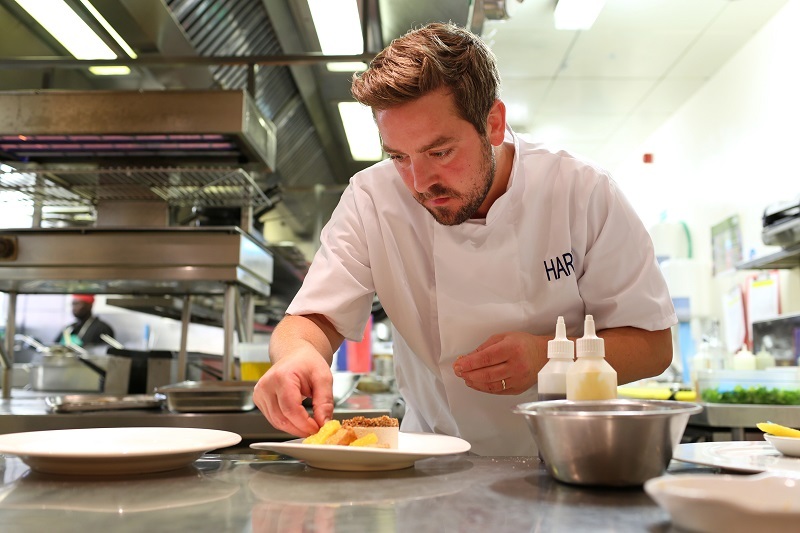 Soon enough Dan reached the position of Head Chef at Hart’s kitchen – which naturally he cites as a career highlight. During his time, Dan has worked alongside a brigade of brilliant chefs, such as Hambleton Hall’s Michelin-starred Aaron Patterson, and put his skills as a trained pastry chef to fine use. Over the Bank Holiday Weekend at Rufford Abbey, you’ll be able to see other top named chefs such as Chris Bavan. There will be a large variety of great food and drink you can try on the day and take home with you from our superb food vendors and producers. Not only that, but you can listen to some great local music over the three days as well as having a drink from one of the many bars that will be on site too.